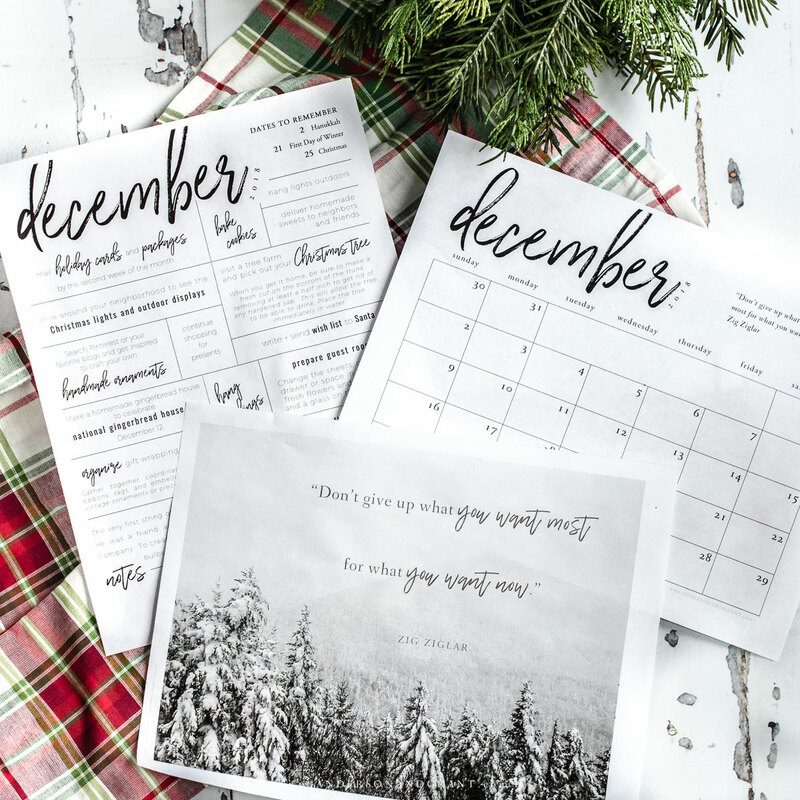 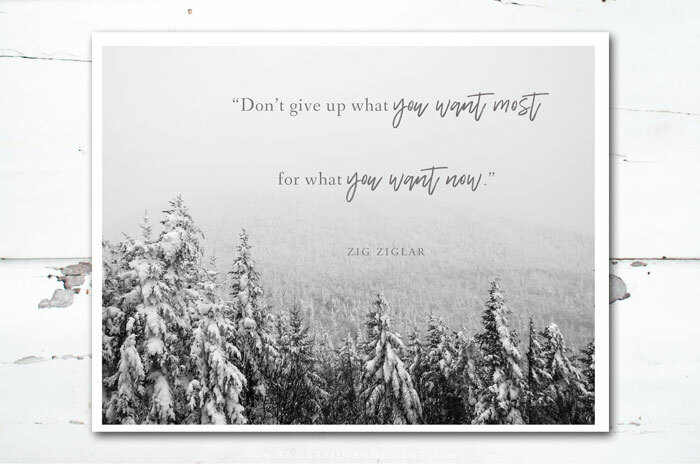 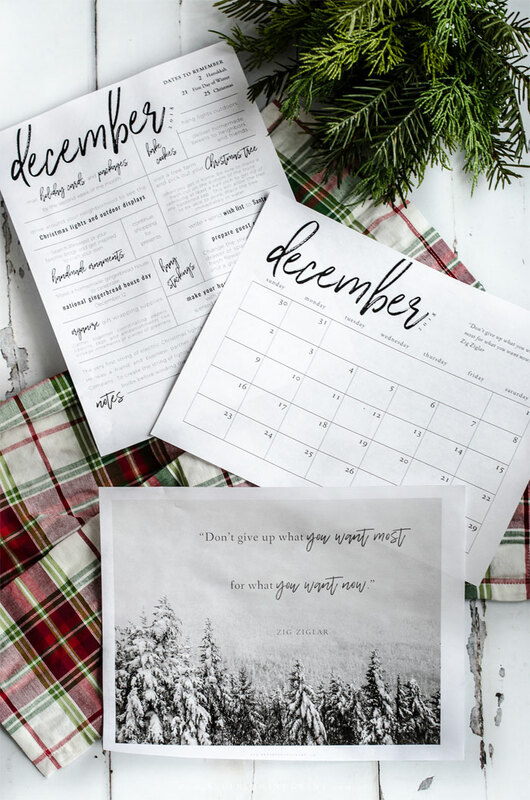 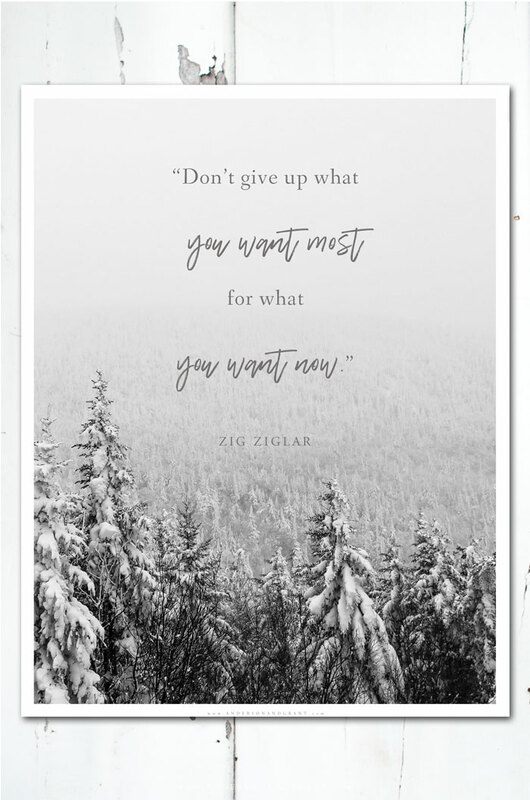 Today's post is filled with the last of the monthly printables for 2018. 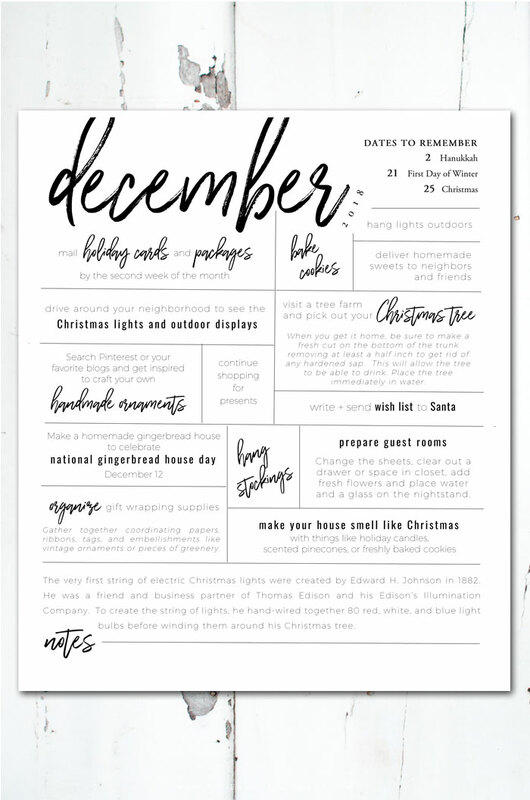 These have been a lot of fun to put together and I enjoy sitting down and thinking through what activities and chores need done each month. 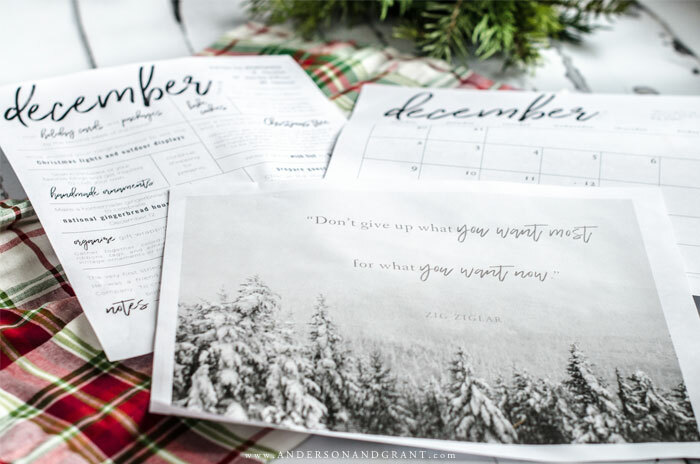 (You can find the other monthly printable posts here.) 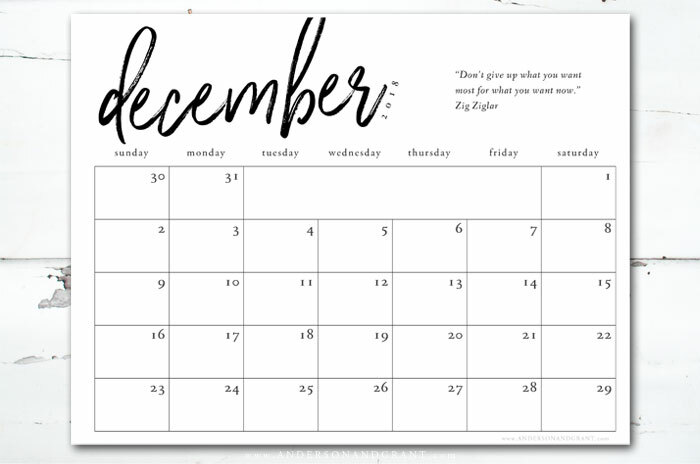 And December is definitely packed with a variety of things that need done! 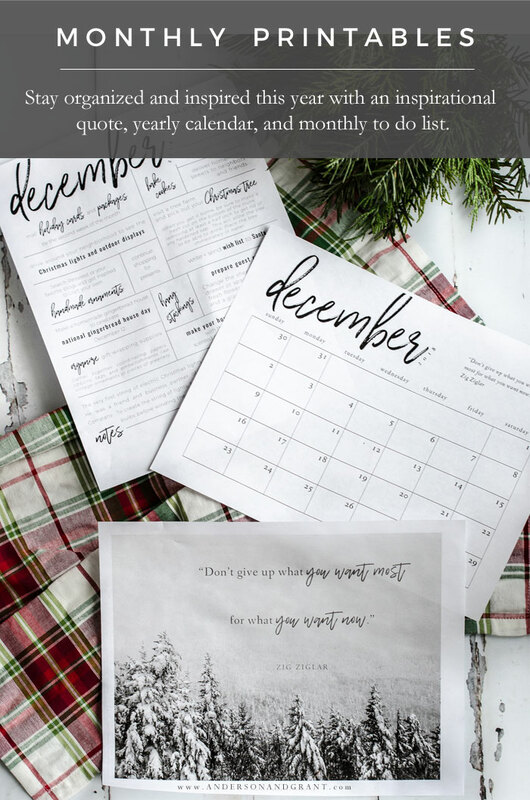 I'd really appreciate it if you'd share with me in the comments below or by emailing me whether or not you've been enjoying these monthly to-do lists, calendars, and inspirational quotes so that I can decide whether or not to continue them into next year.